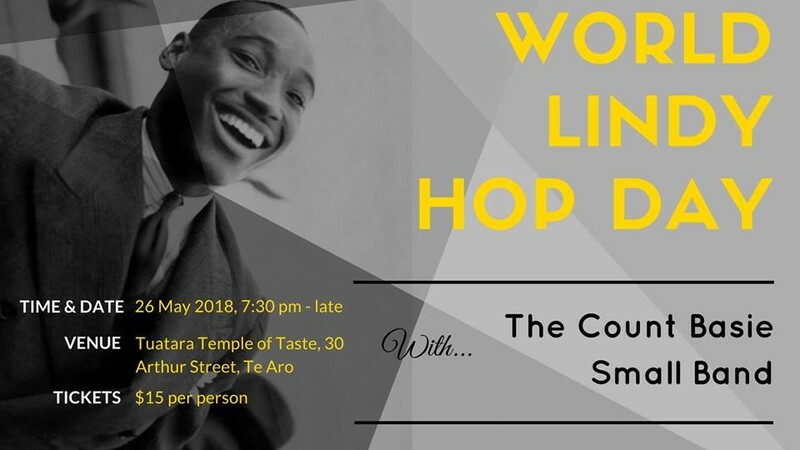 Come and celebrate Frankie Manning's birthday aka World Lindy Hop Day! Swing out to the sweet tunes of the Count Basie Small Band, who will be playing classics from the 1930s and 1940s from 8:30pm until late. The band and DJs will cater to Lindy Hop and Balboa dancers, and later in the evening will slow things down and dim the lights for the blues dancers. Including a special taster class. The amazing Jesse and Ana from Auckland are running a Swing dance open taster class from 7:30pm - 8:15pm. And better yet - the class is included in your ticket!